Healthcare management is meeting patient needs in innovative ways and the time for full payer involvement in palliative care is finally here. Healthcare payers are responding to the challenge of how to provide end of life care in a way that makes sense to patients and providers. What is Palliative care and why is it an important component of conversations about the future in healthcare? Palliative Care can be defined as multi-disciplined healthcare for patients focusing on quality of life issues with or without accompanying curative care. 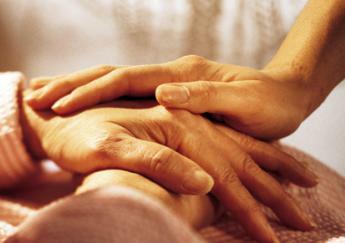 Hospice is an example of end of life Palliative Care but is not limited to that function. Palliative Care can be described as a chain of activity and people, each link containing unique functionality. The behavioral health piece in addition to the medical piece is an important link in the chain of palliative care because this is a very difficult time in the life of patients and their families. Payers are considering reimbursing for some softer services and skills like advanced care planning, care plan oversight and medical team conferences so that providers actually have an incentive to implement an interdisciplinary team and discussion. This benefits everyone. Enhanced reimbursement for social workers to be part of this process is another link. Because they are really the great conveners of palliative care, they’re able to connect the dots between medical services and behavioral and social services. Provider partnerships are an important link in that chain: developing a medical home model for serious illness and palliative care that will transition patients from the outpatient ambulatory setting to the home. That would make the transition seamless for the patient and provide an infrastructure for health systems to set up an outpatient palliative care program. This is getting at the need to not only reduce the rate of re-admissions for people who have palliative care needs but also eliminate the admission at all for people who really don’t need or want to be in the hospital for their serious illness. It is clear that payers in collaboration with providers, social workers, nurses and behavioral health professionals together with patients and families must happen if real and sustainable models for palliative care are to be defined. Providers have clearly led the way in providing care and comfort at end of life. It is good to see that payers are seeing the value of this important service.